Our lawn care services include fertilization and weed control, lawn core aeration and disease control, lawn insect prevention, fire ant and grub control and tree & shrub maintenance. For a lush, healthy lawn you need a dedicated professional, call Green Top Lawn Care today. 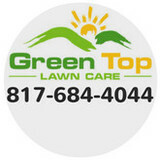 Why choose Green Top Lawn Care? * Guaranteed Results * Free Re-Application. We will come back between services if needed. * No Contracts * Referral Program * Highest grade products used on your lawn * Licensed and Insured Green Top Lawn Care is known for our high level of customer care. Our customers are very happy, not only with the job we do, but how we handle situations that may arise. Integrity and open communication is paramount for us. If there is an issue, you can call us and trust that you are talking to a local person in Texas, not an answering service in another state. We are a locally owned and operated full service irrigation company specializing in repairs and maintenance of existing irrigation systems. With over 20 years of experience, My Irrigation Now serves satisfied residential and commercial customers throughout Dallas and the surrounding areas. Over time,lawn sprinkler systems and irrigation equipment can become damaged causing them to malfunction or stop working altogether. Whether the damage is caused by environmental wear, product lifespan or faulty installation,we can fix it. 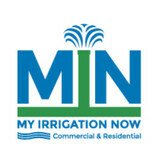 Call My Irrigation Now at 214-945-5992. We believe water is one of Earth’s most precious natural resources. That is why we stay true to ourselves by designing and installing sprinkler systems that conserve water, run efficiently, and are user friendly. We'd love to hear from you to discuss a sprinkler system from MIN Systems. With us, you can be certain you will only get the best. Not only do we use the latest in irrigation technology, but we also use the highest quality components for years of trouble free performance. In addition to installing a great new sprinkler system, we will also service any existing sprinkler system you have that isn't functioning properly. Whether it is leaking water, not covering all the areas, or just needs a tune up, MIN will be there for you. We are available when you need us. You have a business to run and a home to take care of. 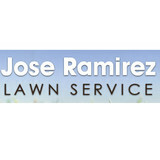 You worry about the inside and let Jose Ramirez Lawn Service in the Arlington, TX area worry about the outside. You get complete lawn care services to make your property the envy of the neighborhood. We are a family owned and operated full service lawn company established in 2005. We take pride in treating our customers and employees like family. Our crew members have years of experience and knowledge to accommodate your lawn and garden needs. Our crew leaders can assist you with any questions you may have while they are out servicing your lawn. Our marketing manager Kathy has years of experience and a background in horticultural studies. Beth, our office manager will assist you in setting up all your services and answer any questions you may have while offering the best advice for you and your lawn. Tony, the owner will come out and personally quote your lawn and landscape needs. Anywhere from designing your landscape to deciding the best approach for your weed control. At Stonebridge Lawn and Garden we do not have contracts, but we do have a set schedule for your weekly or biweekly lawn care. Additional work may be scheduled on a different day. We service year round with once a month winter maintenance in December, January, and February. We offer no hassle end of the month billing accepting Visa, Discover, or Master card. Your invoice receipt will be emailed directly to you. At Blackburn Sprinklers we offer a professional service to residential and commercial property owners and managers. Blackburn Sprinklers is certainly not a new player in the irrigation and sprinkler system industry. We are a sprinkler installation company with over 7 years’ experience to offer. We treat each and every installation, maintenance, repair or testing service as if it is our most important project. Our expertise and dedication to customer service excellence ensures our customers are satisfied, happy and loyal. All the products used to build our systems are of the finest possible quality. We also ensure our rates are competitive and that we offer our clients an exceptional service – every time. At Blackburn Sprinklers we aren’t all about the bottom line – we are about making sure our clients are provided with a sprinkler system and service that is reliable and offers undeniable value for money. Marshall Grain Company has been around since at least 1914 when O. L. Marshall was supplying feed and eggs to the city of Fort Worth from his downtown store. Over the years, the business moved several times to different Fort Worth locations, including one in the stockyards. In 1946 C. B. Marshall built a store for feed and grain on East Lancaster Avenue, about 2 miles east of downtown, which served as its headquarters for over 70 years. In March 2009 we opened our current location in Grapevine. The store has a large interior space for pet supplies and gardening products, plus and a greenhouse for weather-sensitive annuals, and a big outdoor area for trees, shrubs, and other larger plants. We think you’ll find the best selection available of native trees, shrubs, perennials, and annuals, as well as vegetables and herbs for your kitchen garden. In 2015, we launched our Landscape Services Division offering design and installation projects, drainage and irrigation services, hardscaping, and organic maintenance services. Currently the division serves Grapevine and its surrounding cities. Our Lawnsmith lawn and landscape services are customized to meet the individual needs of our customers. By offering a variety of lawn maintenance services we can exceed expectations. Our weekly and biweekly service includes mowing, string trimming, edging, air sweeping, Ortho fire ant treatments, and Round up services on and around your property. By including fire ant and round up treatments we are able to add more value to your service at no additional cost. Lawnsmith doesn't stop there we also offer full scale commercial and residential landscape services such as mulch installations, clean ups, shrub and bush trimming, weed prevention, core aeration, fertilization, color installations, leaf removal and more. Tree and Sprinkler is the premier provider of Sprinkler and Irrigation services in the Bedford, Texas area. 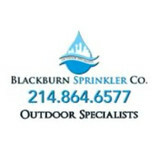 We are the number one service to call if you are needing to fix your sprinkler systems. We've been in business for over 15 years, and Jonas Fordham, our owner, personally oversees every job. If you do business with Tree and Sprinkler, you'll deal with Jonas from start to finish. Sta-Green Lawn Care can help you achieve the ultimate lawn by applying the best quality pre-emergent and fertilizers at the proper intervals as well as total weed control for no additional charge. That's right! No additional charges for treating weeds such as Nut Grass, Dallis Grass, Crab Grass, or any other lawn weed. It's our job to make your lawn green and weed-free by any means necessary. Applying fertilizer is only half the job. The other half is treating weeds, insects, or even diseases as they present themselves. Sta-Green Lawn Care has been serving the Rowlett, Garland, Rockwall, Fate, Sachse, Wylie, and Heath communities since 1999. 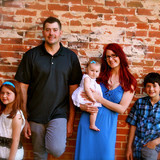 We are locally owned and operated and based in Rowlett, TX. We are also licensed and insured. Sta-Green Lawn Care is not a production driven company. The saying "time is money" is a very true statement. If we do not spend the time on your property, we may not get the money; thus possible customer loss. We are in this relationship for the long haul. Single-stop introductory offers are not needed for our company. We will give you 110 percent of both service and product whenever we are on your property. We usually have the correct products on our truck to treat most weeds, insects, or diseases. There's no need to call another technician to come back out for the same job and place another bill on your door. Whatever the property needs, we deliver. We are a professional lawn care and landscaping company servicing Lewisville, Plano and surrounding areas. Our experienced landscapers turn ordinary lawns into extraordinary landscapes! We are committed to providing quality services, and handle every lawn and landscape job, large or small, with complete dedication. Keith Clouse is a leading Dallas Employment Lawyer. His areas of practice cover: overtime pay, severance, non competes, sexual harassment, retaliation, discrimination, independent contractors, commissions/ bonuses& executive employment contracts including contracts for medical professionals. We mow so you don't have to!